Uglyworld #1487 - Loungerings (Project TW - Image 86-366), a photo by www.bazpics.com on Flickr. Todays we was packereds up and aways again in the mornings to the airporter, thankfullies this time I was ablers to convince Baz that we should go sits in the lounger untils our hairyplane was readies to leave. 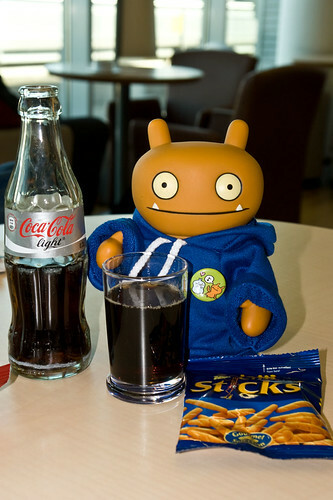 I likers the loungers a lot, I can gets some drinkies and snackies to keeps me going befores the day of travellerings ahead!